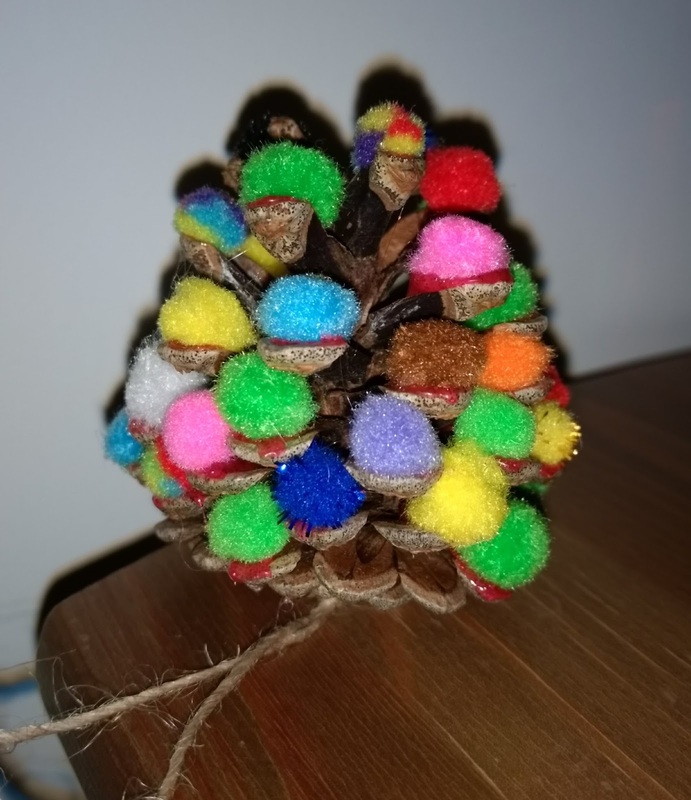 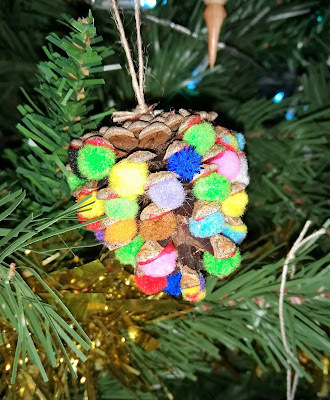 Good grief you need a lot of pompoms to stuff a pinecone! 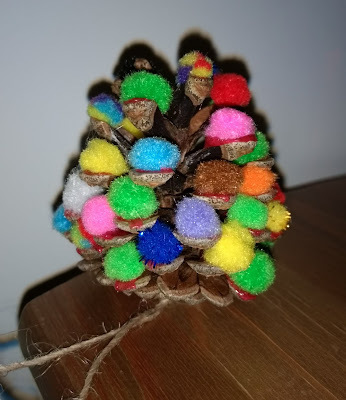 In all honesty, I think my cones are a little small for this so they are a bit cramped but they still make cute decorations for the tree. 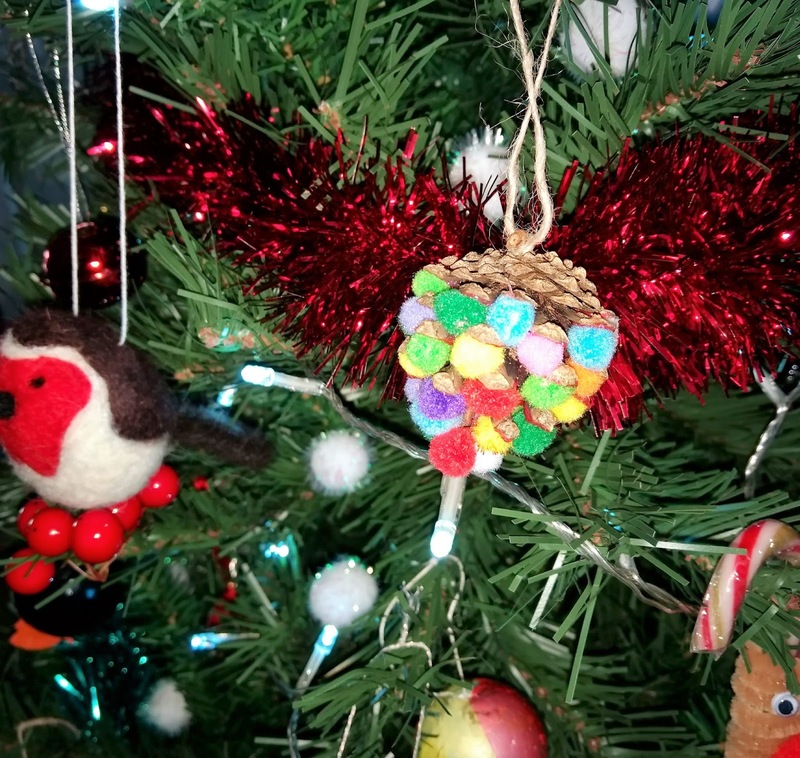 Unfortunately I was part way through a bright pink glue in my glue gun, a clear glue would have worked much better!